Travertine can a touch of elegance to your bathroom and kitchen décor. Keep it looking its best with a cleaning product that's tough on stains, yet gentle enough for daily use. 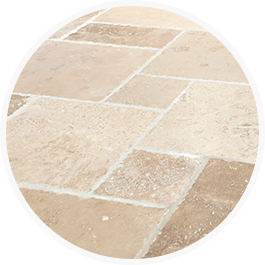 Travertine is sensitive to highly acidic or alkaline stains, so be sure to clean up quickly after stains that contain tomato sauce, ketchup and certain carbonated beverages. Then use new Soft Scrub Advanced Surface Gel to help wipe away tough stains!